Guyard, Christophe (b. 1966, Rennes). French composer of orchestral, chamber, lyric, organ and piano works. Christophe Guyard was born in Rennes in 1966. He studied piano with Pierre Froment and composition with Franz Tournier. He was fascinated by the major 20th-century composers; with the support of his teachers, he met Olivier Messiaen during concerts at Rennes Opera House and presented the organ manuscript "Trilogie 15" to him, upon which the great composer recommended that he study in Paris. In 1984 he was admitted to the Paris Conservatoire (CNSM), then directed by Marc Bleuse, and attended classes taught by Jacques Castérède for Analysis, Marius Constant for Orchestration and Claude Ballif for Composition. During this time he officiated as organist at the Abbey of Mont-Saint-Michel (from 1985 to 1995), where he was particularly marked by the exceptional and inspiring presence of Prior Bruno de Senneville. While at the CNSM, Christophe Guyards compositions were commissioned for recording and broadcast by Radio France. 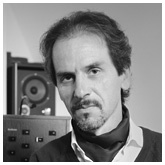 He was also a resident for a short time at the Siena Accademia Musicale Chigiana, and for three years at IRCAM, directed by Pierre Boulez, as a CNSM researcher specialising in Analysis. Exposed to the world of computer methods at IRCAM, he submitted a thesis entitled "Computer-assisted composition techniques". In 1986, the City of Rennes awarded him the music composition prize for his "Concerto dYs" for piano and orchestra. He obtained four premiers prix at the CNSM, for Orchestration (1985), Analysis (1986), Composition (1986) and Research in Analysis (1987). Several of his chamber and instrumental works, including "Voyager III", 3 Sonatas for piano, "Alchimie", and "Phénix" for pipe organ, appeared in print, published by Billaudot. The year 1989 saw him compose "Trans-Sidéral", a commission for the string sextet of the French National Orchestra. From 1989 to 1996, he held the post of Director at the Conservatoire in Albertville, where he wrote a number of pieces for student ensembles. For the Albertville Winter Olympics in 1992, he wrote and directed the "Symphonie des Jeux", a joint project for the Annecy, Albertville and Grenoble Conservatoires. From 1997, he started composing works on commission for concerts ("Le Livre de voyage à New-York") and major shows. In May 1998, the Council of Europe commissioned him to write a new version of the European anthem on the theme of Beethovens "Ode to Joy". This led to the work "Rhapsodie sur lHymne Européen" for full orchestra, along with various instrumental versions. Several recordings were released by the Council of Europe, including the version for piano (Thierry Huillet, piano), a first version for symphony orchestra (conducted by Alfred Herzog) and a second version with the German Radio Orchestra (SWR) (conducted by Roland Kluttig). It was at this time that he made the acquaintance of various producers of sound and light shows held at historical monuments, for whom he wrote a number of original works, and he gradually became more and more involved in the field of multimedia project design and production (the "Grottes de Baume Obscure" and Clamouse caves, the "Cathédrale dimages" in Baux-de-Provence, the Church of Hérémence and the castles in Sion). These permanent spectacles are admired by audiences ranging from a few dozen to hundreds of thousands each year. Guyard turned to lyrical works with "Valère et la lumière des étoiles" in 2001, with the support of the great violinist Tibor Varga in Sion, and "Fortitudo" (recorded at the Métropole concert hall in Lausanne in 2006). His works have been recorded with internationally renowned artists, including Brigitte Fournier, Brigitte Balleys and Stephan Imboden, and at high-level technical facilities such as orchestral venues, the Tibor Varga Studio and a concert hall (recording directed by Swiss radio station RSR). His technical knowledge in computer engineering enabled him to create his own IT systems for directing and broadcasting his shows; his most prominent permanent work is undoubtedly "Sion en lumières" in Valais, Switzerland, since 2004. In 2010, with fellow composer Marc Lys, he founded the "Villa des compositeurs" committee, with branches in Paris, in Turin and in Rome, to promote composers' works within the world's most prestigious libraries. In January 2017, Christophe Guyard has been nominated as new Artistic Director of the Igor Stravinsky Foundation.